Some people are more inclined to suffer from certain diseases and conditions than others due to their particular genetic makeup. The increasing demand of online genetic tests for Heritable Diseases and Conditions has meant that healthcare professionals, such as dietitians and nutritionists, are being asked more questions from their patients about what kind of diet is better for them according to their genetic makeup. However, many of these professionals, like you, have not studied genetics and have low levels of confidence to respond to these questions. Nutrigenomics refers to the study of the effects of nutrients on the expression of an individual’s genetic makeup. A better knowledge of Nutrigenomics is essential to design a personalised diet with positive effects on our health or athletic performance. 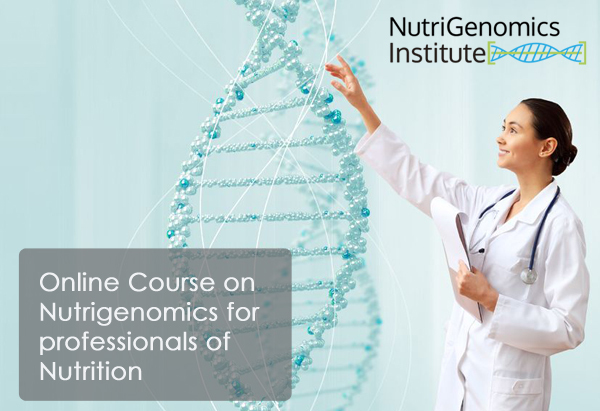 NutriGenomics Institute has been offering specific online courses on nutritional genomics and how it relates to dietetic and nutrition practice since 2014. We are pioneers on nutrigenomics education online in the Hispanic market. The quality of our courses have provided us with an excellent reputation among professionals of nutrition, that’s why we have recently reached 5,000 students. We have now designed online in-depth courses for healthcare professionals in English speaking countries, so you can also benefit from a quality and affordable education on Nutrigenomics. Our courses are specifically designed for health professionals who need to be up to date on the current developments in nutrition and the interaction with genetics. 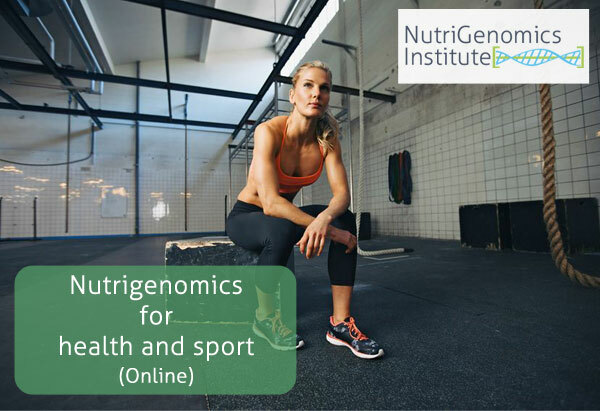 You will learn the fundamentals of nutrigenomics and nutrigenetics with experts teaching at a post-graduate level, without having to enrol in a university program. The course for health professionals provides practitioners with a review of relevant current nutrigenetic science. After this course, you will also understand the information included on genetic tests and will be able to translate it into nutritional recommendations for patients. Students who pass the final tests will receive a certification from NutriGenomics Institute. About 50% of the differences in athletic performance between two individuals are explained by the genetic differences of each of them. These genetic differences define key characteristics such as muscle capacities, energy metabolism and the individual response to sports nutrition and training. Get ahead of the crowd and start learning about nutrigenomics now. The Nutrigenomics Institute invites you to discover the latest developments around Nutrigenomics and Nutrigenetics. For that we have designed online courses and classroom training with a practical approach and also for professionals such as Nutritionists, Dietitians and Endocrine Doctors and specialists in Sports Medicine and Physiotherapy. We use the latest technology online and virtual campuses that offer great flexibility and excellent attention to the training student. The Nutrigenomics Institute team is led by one of the most prestigious professional in the field.